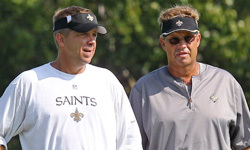 Published: March 2, 2012 at 02:17 p.m.
After a lengthy investigation conducted by the NFL's security department, the league announced Friday that 22 to 27 defensive players on the New Orleans Saints maintained a "pay for performance" program that included "bounty" payments administered by then-defensive coordinator Gregg Williams during the 2009, 2010 and 2011 seasons. 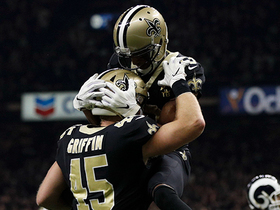 The program runs in violation of league rules, and the investigation showed that Saints players received $1,500 for a "knockout" hit and $1,000 for a "cart-off" hit, with payouts doubling or tripling during the team's three playoff appearances. 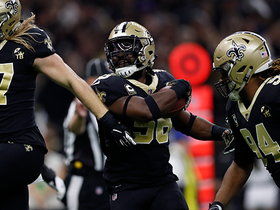 A memo sent to clubs throughout the league included a statement on how Saints linebacker Jonathan Vilma put up $10,000 cash as a bounty before a playoff game, a source familiar with the memo told NFL Network insider Jason La Canfora. The memo also said Mike Ornstein, a noted marketing agent who has close ties to Saints coach Sean Payton and has worked with him on projects in the past, put up money as a bounty at least twice. The program also entailed payments for interceptions and fumble recoveries, which also violates league rules against non-contract bonuses. NFL Commissioner Roger Goodell will determine the appropriate discipline based on the investigation, the league said in a statement. "The payments here are particularly troubling because they involved not just payments for 'performance,' but also for injuring opposing players," Goodell said in a statement released by the league. "The bounty rule promotes two key elements of NFL football: player safety and competitive integrity. Goodell said the investigation began in 2010 after allegations were made that Saints defenders had targeted Arizona Cardinals quarterback Kurt Warner and Minnesota Vikings quarterback Brett Favre during New Orleans' 2009 run to the Super Bowl. "Our security department interviewed numerous players and other individuals," Goodell said. "At the time, those interviewed denied that any such program existed and the player that made the allegation retracted his earlier assertions. As a result, the allegations could not be proven. We recently received significant and credible new information and the investigation was re-opened during the latter part of the 2011 season." The investigation found the program was funded primarily by players and at one time might have reached $50,000. The league also said that other defensive coaches in addition to Williams, now the St. Louis Rams' defensive coordinator, were aware of the program. "I want to express my sincere regret and apology to the NFL, (Saints owner Tom) Benson, and the New Orleans Saints fans for my participation in the 'pay for performance' program while I was with the Saints," Williams said in a statement released by the Rams. "It was a terrible mistake, and we knew it was wrong while we were doing it. Instead of getting caught up in it, I should have stopped it. I take full responsibility for my role. I am truly sorry. I have learned a hard lesson and I guarantee that I will never participate in or allow this kind of activity to happen again." The report found that Payton was aware of the allegations but did not make any inquires and failed to stop the program. 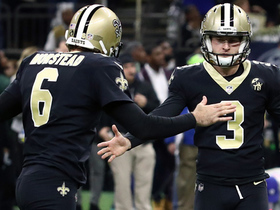 The league also said that general manager Mickey Loomis at one time was directed to end the program once Benson was made aware of the league's findings, but he did not carry out Benson's directions. The memo released to NFL teams also found Loomis and Payton guilty of "conduct detrimental" to the league, La Canfora reported. "I have been made aware of the NFL's findings relative to the 'Bounty Rule' and how it relates to our club," Benson said in a statement. "I have offered and the NFL has received our full cooperation in their investigation. While the findings may be troubling, we look forward to putting this behind us and winning more championships in the future for our fans." The NFL Players Association released a statement in which it promised to look into the NFL's allegations. "Health and safety is a paramount issue to the NFLPA," the statement said. "The NFLPA was informed of this investigation by the NFL earlier today and will review the information contained in the league's report." 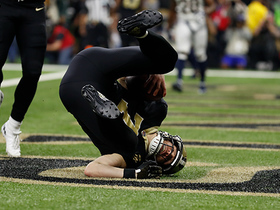 The Saints have gained a reputation in league circles as a dirty team in recent years, and Vikings running back Adrian Peterson said this past season that the Saints targeted his high left ankle sprain. "I felt like it kind of got overboard," Peterson said at the time. "I got up and kind of got in his face. Thank God I was able to keep my composure." The Saints denied Peterson's claim.